If you’re like me, you take a lot of nature photographs, and you know that nature doesn’t always offer blue skies with fluffy white clouds. I’ve photographed in rain, snow, strong wind, lightning storms and fog, and always get usable photographs. One of the ways I do this is with Lightroom 5, and presets. Lightroom can add contrast, bring out the details in skies filled with rain clouds, and much more. I know people who spend an hour or more perfecting photographs shot in less than ideal conditions, but that’s not me. I usually spend less than two minutes working on a photograph. There are some images that I have that just really can’t be saved. They are too flat, and won’t look good no matter how much I play with sliders and curves. That’s where presets come in. Besides these, the NIK presets were recently released for free by Google https://www.google.com/nikcollection/. I grabbed these as soon as they came out. I believe they were originally selling for $250. Head on over and get your copy. What I like most about presets is that someone else has done all the work, and I get to create great images with one click. Be sure to create a virtual copy first, and work on that. You don’t want to radically change your original image. When dealing with flat images, my first thought is to make them into some kind of monochrome image. Black and white, sepia, split tone and similar presets usually work well. It’s just a matter of personal taste. 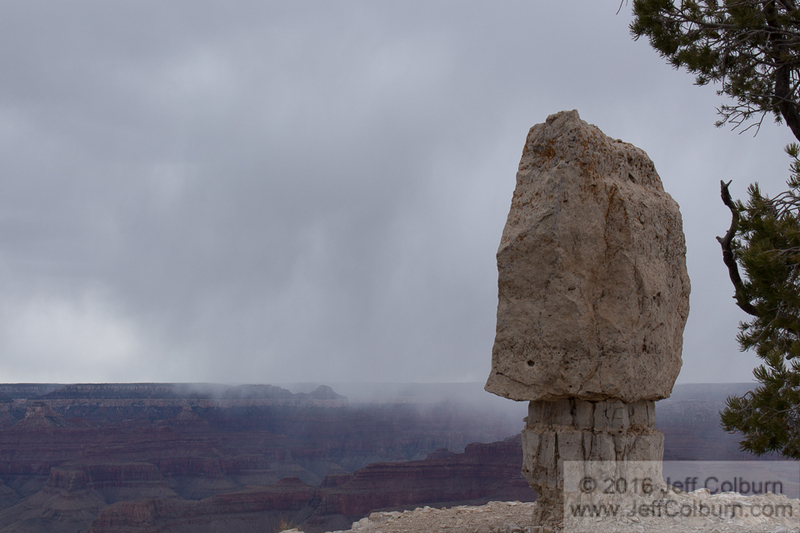 Here’s an example of a flat image I took last week at the Grand Canyon. The day was overcast, and you can see some snow in the middle of the image. Even though the light was flat, I wasn’t going to pass up the chance to photograph this monolith. The original image hasn’t been altered, except for straightening the horizon. I tried a variety of presets, and the first one I really liked was this mild sepia toned image, created with OnOne Toners – Light Mocha. It has a nice warm quality to it that counterbalances the cold of the sky and snow. 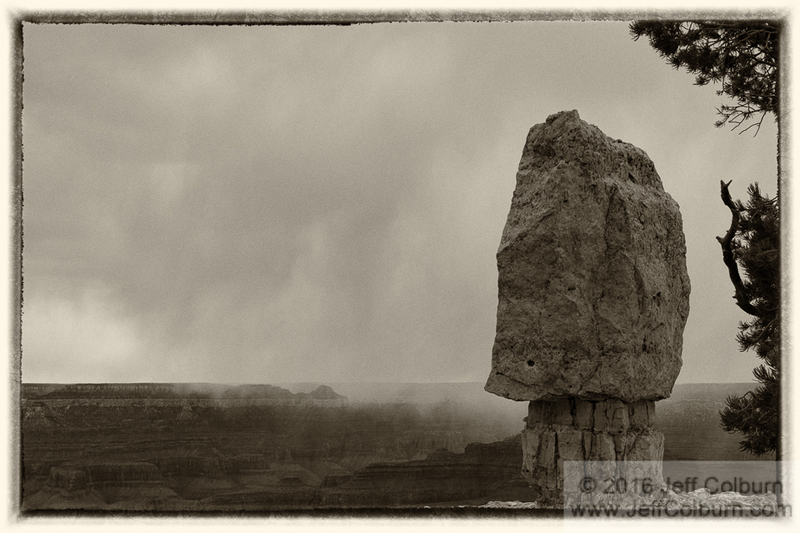 The other one I liked was this Black and White, made with Nik Silver Efex Pro 2 – 034 Yellowed 2. It gives good contrast and shows the snow well, and the frame makes the image look like an old Polaroid image. There were other presets that I liked, but these were my favorites. Grab some of your old photographs that are flat, a little out of focus or have some other problem, and see what magic you can create with presets. You’ll find that it’s fun, and using presets may spark your imagination into creating a whole series of images.